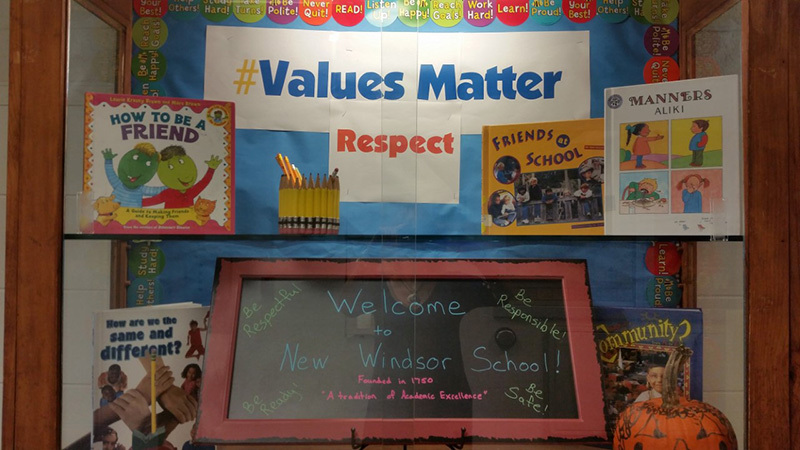 The display in the Main entrance of New Windsor School is dedicated to the #Values Matter Campaign. This month the school focused on the value of Respect. All students and staff completed sentence strips with the phrase "Respect means..." These statements were shared on morning announcements and were posted around the building by the Clintonian Society Students for all to see.